RDA Dancing hosts a number of sell-out events through the year. Each year we have more and more enquiries about how to attend these events, and all the information is included below. Each year the pupils of RDA Dancing are invited (optional) to compete in two Medallist competitions and one Medal test day. Once a pupil has learnt the initial basics, much of our dance instruction is based around a syllabus which teaches our clients the steps they need to know should they wish to take part in these competitions. There is no pressure to take part, but it means those who do not want to, are still able to practice alongside those do. 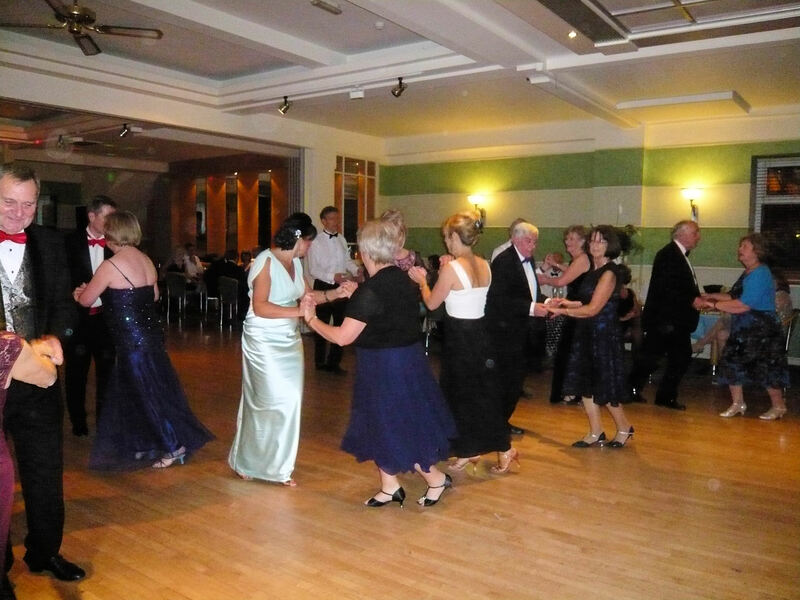 In addition to the competitions, RDA Dancing also hosts two annual black tie balls, one in the summer and one at Christmas. These are open to all dancers whether you are members of the school or not. This year's Summer Ball was held on Saturday 13th May, in Petworth. Our next Ball will be our Christmas Ball which will be held at the Herbert Shiner School Hall in Petworth on 3rd December. Tickets in advance (£10) per person.Please contact RDA Dancing for further information on attending. The Weekend Extravaganza is something RDA Dancing has been offering to our social clients for a number of years, at various venues on the Isle of Wight, Bournemouth and our 2017 weekend away will be held at the Royal Beach Hotel in Portsmouth. After a few requests, we are now rolling this out to our corporate clients as well. Please talk to us regarding reserving your booking. There is the option (at no additional cost) to attend 2 workshops during the weekend, focusing on a couple of chosen variations of steps, usually on one Latin, and one Ballroom dance. With a more concentrated amount of dance instruction, and additional one-to-one pointers and advice during group practice, our dancers come away feeling accomplished and confident on the dance floor. We just wanted to say thank you for all your time and commitment for arranging the Isle of Wight weekend. The roses were a lovely touch and they survived the journey home. We are now going ‘all out’ to take our dancing forward to new heights!